If you’ve gone blonde, there’s always that fear of waking up and looking in the mirror, only to find that your color isn’t quite the same as it was when you went to sleep the night before. You can try to forget the problem by avoiding the mirror altogether, but eventually, you’ll see your hair. Something that occurs SO often and is a major problem for all you blondes is finding brassy tones creeping up when you least expect it. Well, I’m about to share with you some brassy hair tips and tricks that will save you tons of money, frustration, and anxiety! Being a woman has its ups and downs. Whether it’s getting a painful pimple or a bad hair day, womanhood is tough. But nothing quite compares to the horror of brassy blonde hair. It’s probably a blonde’s worst nightmare. When this occurs, many people who don’t know what to do run to the salon and spend a fortune on redying their hair. While this is a good solution to a devastating problem, it can cost a fortune and let’s be honest… who has the time? If I were to run to my stylist every time a bit of brass crept up in my hair, I would most probably be living on the streets, along with so many other blondes! So here’s what everyone is wondering: what exactly can be done that doesn’t entail running to the salon? Isn’t there something that can be done from home that can at least help a little bit? HAVE NO FEAR. Take a look below. If you’re blonde, then I don’t need to explain to you what purple shampoo is and how it works. But I will say this, don’t wait! Go out and get yourself a bottle of any kind of purple or violet shampoo and I PROMISE you that it will be a great solution to your brassy problem. It’s like a magic shampoo, actually. People say that it takes a few times until you can see a difference, but I was actually able to see a difference after only using it once. It works like a charm. If you aren’t a blonde, purple shampoo works by neutralizing your brassy tones. The purple pigment is distributed throughout your hair to cancel out the red and yellow undertones and make your blue undertones higher. 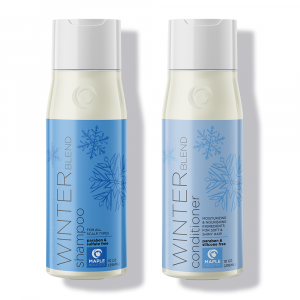 It brightens the blonde by restoring your hair to its former, cooler color. 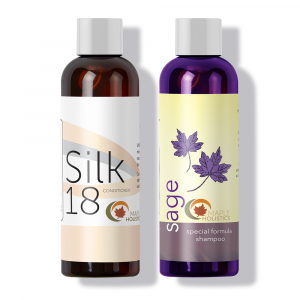 There are plenty of different kinds of purple shampoos on the market, so don’t be overwhelmed. You basically just need to read up on all the products and buy whichever purple shampoo sounds fitting for your specific hair type. 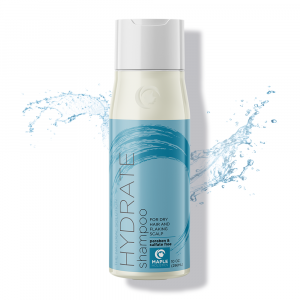 Although all of the shampoos are more or less the same deal, they are each formulated for specific types of hair. For example – some are better for ombre hair, some are better for highlighted, or completely dyed. Make sure to get one that’s specifically color safe! Maintaining blonde hues needn’t be too hard. This is a product which people have mixed opinions about. Some people will say how great it is, and other people will say it literally did nothing. 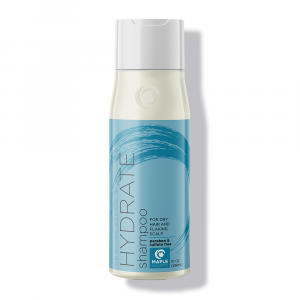 I personally found this product to work for me at times and at other times I didn’t see much of a difference, but I guess it really depends on what kind of hair you have and how you use the product. How you apply it makes a difference. Before you put the purple shampoo in your hair, you should rinse it with warm water. The warm water will cause your hair shaft to expand which will allow for more purple pigment to penetrate. After you apply the shampoo, you should let it sit for one to five minutes before rinsing it out. You should then rinse your hair with cold water, which will close the hair shaft. This will seal in the color and leave it protected. Purple shampoo seems to be very popular. A lot of big-name salons promote it. It’s said to be safe to use in between colorings and is ammonia free. It seems that a lot of people decide to try this product because they don’t have the time or money to get to the salon and get their hair toned. So why not try it yourself if you can? That’s how I see it. If it works, great! If not, then you didn’t really lose anything besides a few bucks. Great hair starts in the shower. This is something that I just recently heard about. 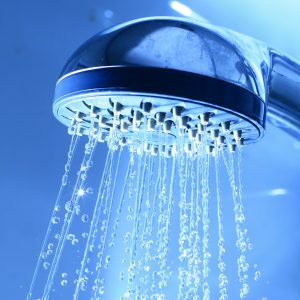 People are familiar with water filters for the sink, but not many people have heard about shower filters! If you’re someone with color-sensitive hair then this is definitely a product to invest in. The product isn’t that well known, so not that many companies have come out with it. There are a few different companies out there that seem to sell a solid shower filter. Shower filters work by removing chemicals from your shower water. It can’t only damage your hair color but it can also cause skin dryness, irritation, and even life-threatening diseases. The shower filter neutralizes the chemicals. Chemicals like chlorine and iron are found in shower water and are probably not the nicest stuff to absorb. They can also make color fade, look dull, and effect the saturation. Chlorine is an enemy to hair, especially color treated hair. 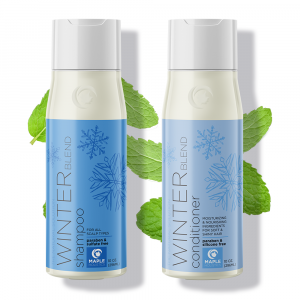 It strips hair of its natural oils, leaving it frizzy, dry. It can also make your scalp scaly and irritated. Iron, specifically, can add to those pesky, reddish, brassy tones. Washing your hair in filtered water will make your highlights and color last significantly longer than if you weren’t. As you can see the products you put in your hair will actually affect its hue. 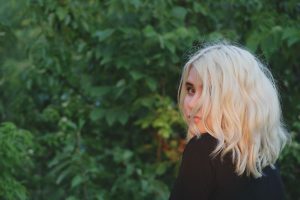 If purple shampoo can prevent your hair from going brassy, then you should avoid anything else that might make you go from blonde to orange. This applies to all products you use before, during, and even after your shower. If the product is purple or clear, your hair is in the clear as well. Most people use some kind of oil on their hair before blow-drying. If this is something that you do, check to see if your oil of choice is colored. 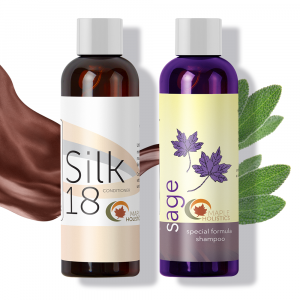 Happens to be, that a lot of popular oils that are on the market are brown in color, which can ultimately affect the color of your hair. 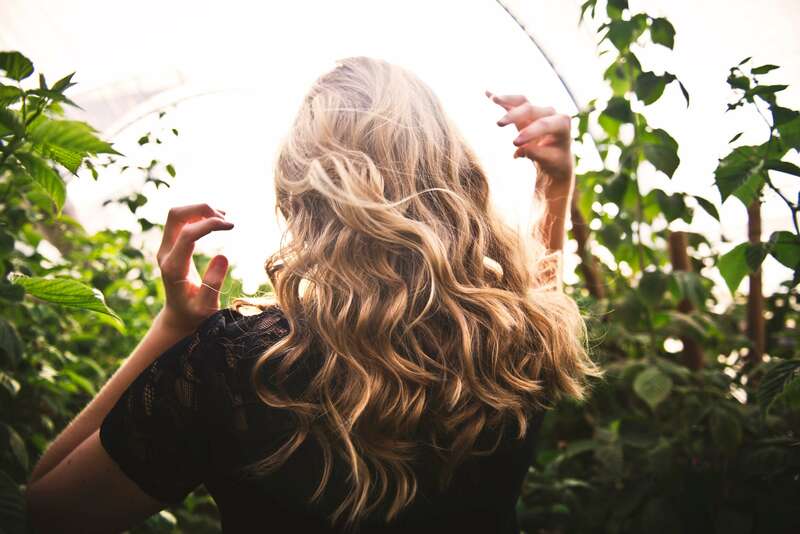 That’s not bad if your hair is naturally dark, but if you’re trying to prevent brassy hair, you may want to start using a clear oil. The color in the oil can slowly alter the tone of your blonde. Moroccan oil is a yellowish-orange and will therefore over time turn your colored-hair, yep you guessed it, a yellowish-orange. If you like to use oil, you can try coconut oil or pure argan oil. Both are clear and won’t discolor your blonde locks. If your natural hair is rich in red pigment you will have to bleach it in order to maintain the blonde shade you’ve put so much effort into getting. A colorist has to lift your natural color and then proceed to dye it the desired color. A lot of women with dark hair are wondering how to get blonde hair without bleaching, but unfortunately, it’s not possible. If the color isn’t lifted enough, your hair will end up with brassy tones. In order for the new blonde hair to last and not instantly go brassy, you’ll need to strip as much of its natural pigment as possible. Call it bleach or call it a lightener – it pretty much does the same thing! Cheer up, because there are ways to minimize the risks of damaging your hair. You should stick with professional products. There’s a reason people pay a fortune to go to a salon with professionals, it’s because their products work. You don’t need to be the guinea pig and try new ideas or products that not many other people have used. Use products that are trusted with positive reviews. You should also never let products stay on your hair longer than required. Each product comes with instructions. Read them and follow them! Once you get your perfect shade, only bleach the roots. If you bleach anything else it will mess everything up, and the shade you used to love will never be the same. Dying your hair a blonde hue is a huge commitment for your time and money. You’ll have to do at-home treatments and frequent trips to the salon. As a natural brunette, you should definitely really think about the decision before you finalize it since there could be a lot more work involved for you. If you’re unsure how you’ll look as a blonde, you can always go to a wig shop and try on a few different shades of blonde wigs. If you do decide to make the leap, you’ll have to deal with preventing the brassy tones from rearing their ugly head, which isn’t so simple. But now that you’ve done your reading, it’s time to get out there and make a difference to your hair! There’s no need to be afraid of that mirror any longer. You now know what to do and what not to do after you dye your hair blonde. It’s an uphill battle, but a battle that you’ll win (most of the time). Purple shampoo just may be the answer to your prayers. If it’s not, there are so many different other options that can help you in your brassy time of need.